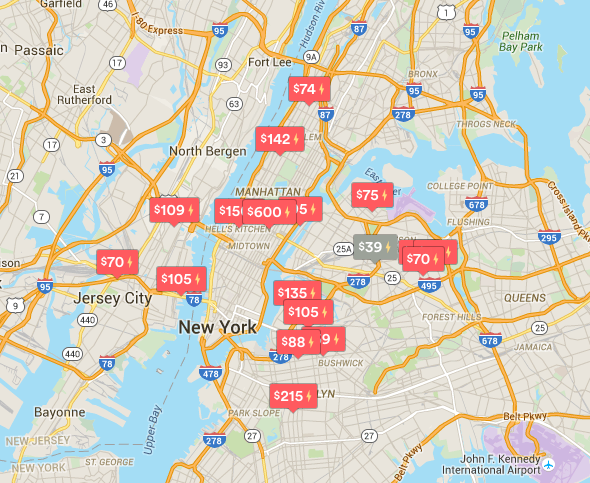 A bill to ban illegal sublets—not-so-subtly aimed at short-term rental service Airbnb—was passed by the New York State legislature on Friday, the penultimate step before Governor Andrew Cuomo can ink the bill into law. Senate Bill S6340A, sponsored by NYS Senate Republican Andrew J Lanza, penalizes tenants who advertise short-term (less than 30 day) sublets in class A multiple dwellings (i.e. your typical multi-unit rental building). This includes sublets of entire units or individual rooms within units. Although these sublets are already illegal under a 2010 law, the proliferation of “online home sharing platforms” has made it easier for tenants to flout the law. The bill would affect New York City tenants only, although renters use the service in nearly all of the state’s major cities. (The bill only applies to New York cities with a population over one million.) Violators who advertise their pads could be faced with fines of $1,000 for the first violation, $5,000 for the second, and $7,500 for three or more violations.